AnyToISO Professional is the ultimate ISO Creator for Windows. 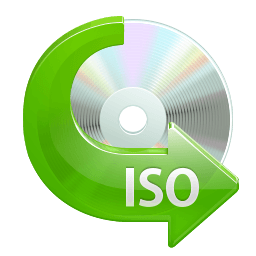 It can create ISO from almost everything including all CD/DVD/BD images formats popular on Internet (NRG, MDF, UIF, DMG, ISZ, BIN, DAA, PDI, CDI, IMG, etc), CD/ DVD/ Blue-ray disks or simply from a local folder. The program also can extract any of those formats plus ISO/ DEB/ RPM images. Most CD/DVD burning software works with ISO images and its native images only. Use the program for conversion before burning, because AnyToISO Professional supports all CD/DVD/BD formats popular on the Internet. With AnyToISO Pro you can mount any CD/DVD/Blu-Ray image found on the Internet to your Parallels/ VMWare virtual machine. Complete command line support. This software works on Windows and Mac OS X. Available in 28 languages. AnyToISO program is available in two editions: Lite and Pro (Professional). Lite version is totally free but it cannot deal with files greater than a normal CD size (870 MB). In order to work with DVD/Blue-ray images, one should upgrade to a Pro version. Pro version customers have the highest priority level in technical support. Windows version can also be portable.